through which participants immerse themselves into the future, take on roles that are not theirs, and strategize the achieve their goals…[This will] Trigger imagination and creativity [and] Immerse people into possible futures…shaking up people’s preconceived ideas about the future. The aim is to avoid linear thinking in order to be more receptive to emergent changes…New literacies will be needed for the future. Futures literacies are needed to enable citizens to participate in anticipatory decision making recognising the context of uncertainty and complexity and building up individual and societal resilience to work collaboratively to address these…Critical thinking should be nurtured, through the education system and beyond in the workplace and civil society, including understanding digital media [media literacy] but also other aspects of people’s lives. Policy literacy is also very important, both for the present and for the future. It is not only ‘economic’ institutions that require transformation. The power of disruptive imagination needs to be unleashed in every citizen. Education systems and participative democracy needs to encourage a spirit of experimentation. Critically, these must be accompanied by the protection of vital stakes, safeguards, and endowments, making it possible for people to remain unafraid in the midst of quickened change. alternative pictures of how the future world, in which citizens live and governments operate, might look. Narratives do not claim to be unique truths, they are considered as frames that facilitate making sense of the world, frames that usually combine past and future, fact and fiction. Made of hopes, desires and fears, narratives frame people’s understanding of the past, perception of the present and imagination of the future. We took into account assumptions about the situation in 2030+ that related to the following categories: society, technology, economy, policy/legislation of the state, relationships between citizens and the state, new actors in citizen-government relationships, and role of corporations. Factual knowledge gets in the way of the transformative need to “generate conversations about what the future may look like by allowing us to displace our understanding of the present.” Provided concepts that can be used to address perceived problems “produce new ways to explore uncertainty and to have dialogues with stakeholders about complex and dynamics issues.” Making so much K-12 and higher education about the use of computers and virtual reality allows the needed “expressing different ideas and stories of the future through tangible objects allows the public to challenge their imagination; to see the possible future more as a multiplicity of ideas rather than separate space and time as well as to address the present critically.” No wonder we have such an emphasis now that all curricula be Relevant to the lives of students and perceived problems. We must equip citizens not only to participate in the economy and society but to transform it, through a lifelong education system that promotes cooperation and prioritises the power of imagination…[Required Learner Profiles and Portrait of a Graduate come in handy where] the knowledge economy, therefore calls for education, both in youth and throughout life, that develops character, mindset, and non-cognitive as well as cognitive skills. This style of education crosses the divide between general and technical education. Rather than emphasising job-specific and machine specific skills, it requires a new model focusing on generic, flexible, high-order capabilities…they also form part of a larger challenge: how to equip every student with the tools they need not only to flourish within their societies as they currently exist but to transform them for the better. Teachers and students must have the political, legal, and financial means to deal experimentally with the central tension in education under democracy: preparing people to flourish within present arrangements and assumptions while equipping them to defy those assumptions and arrangements. That flourishing and defiance requires “Essential Content Only” with prescribed beliefs, values, and categories of thought. It requires active learning so the needed Habits of Mind that will motivate the requisite transformational change in the present are embedded at a neural level in each student’s mind and personality. It creates a Marxist Man as a Maker of History which is not a surprise to anyone familiar with the work of its author, Harvard law prof Roberto Unger, which is why he has a tag here at ISC already. If we have been led to see Marxism though as about the USSR and the Iron Curtain, and to believe socialism is about state ownership of the means of production, we will never recognize in time the little ‘c,’ Human Development Society vision, embedded in both these linked documents. 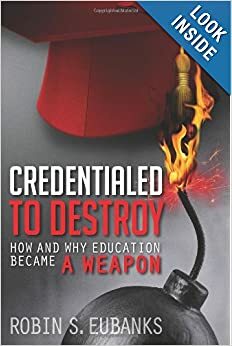 If we only know what the think tanks tell us about education reforms and how standards, competencies, and social emotional learning work, we will not grasp that the requisite education laid out above to fit this sought transformation to ‘democracy’ is precisely the education being imposed by public and private schools right now. Factual knowledge and a logical mind are viewed now by institutions, politicians, think tanks, and civil society operators as impediments to this desired “push forward into the realm of the adjacent possible.” It is the only thing that can liberate us from this clearly planned intention to enslave the mind and person in the name of inclusion for all. flourishing, and meeting our needs. History as a body of knowledge, and not as this planned march to alter and control the future politically, would reveal this will not go as planned. The question becomes though how many of us will recognize in time where these education visions are actually going. My thanks though to all the promoters of the deceitful narratives. It made the desired Super Collaborative Government, Scenario #3, easy to see because it was full of all the many things I had noticed, that were factually not true, in various published White Papers. The Future of Government is apparently all-intrusive according to anyone, of every persuasion, involved officially with formulating public policy. Education reforms are their favorite, largely invisible when misexplained, tool. Good to know now, huh? Ironically, the first part of that title came to me while I was taking a break from research because one of my favorite historical series had published a new novel. Set in Tudor times, the author’s desire to have past events interpreted in a way that altered how the reader would regard similar efforts now was unmistakable. The story had taken on a normative purpose that reminded me of current pushes around the ‘cooperative commonwealth’ or Morality-as-Cooperation. In other words, the author was trying to manipulate adults in much the same way as learning standards and required conceptual progressions intend to manipulate our children, while their brains and personalities are largely still malleable. Both purposes go to creating (or rearranging) what is called the ‘sociological imagination’. Both fit with what C. Wright Mills called ‘The Social Scientist’s Task’, exemplified by this quote I found when discovering that in 1995 the news media was asked by philanthropic foundations to rethink its role and begin to consciously impact public opinion and policy to advance social change objectives. Men and women in a mass society are gripped by personal troubles which they are not able to turn into social issues. They do not understand the interplay of these personal troubles with the problems of social structure.The knowledgeable person [College, Career, and Citizenship Ready!] in a genuine public, on the other hand, is able to do just that. He understands that what he thinks and feels to be personal troubles are often also problems shared by others, and more importantly, not capable of solution by any one individual but only by modifications of the structure of the entire society. Men in masses have troubles, but they are not aware of their true meaning and source; men in public confront issues, and they usually come to be aware of their public terms. It is imperative that, as a field, we examine the way we define and use narrative to ensure that it delivers the social change we seek…For a communication to act as a story, some one or some thing must act, or be acted upon, and thereby propelled towards an ultimate result…human interest stories are insufficient to drive change. While the human brain is attracted to tales of episodes in other people’s lives, the civic body is distracted by them. In contemplating close-up portraits of affected individuals, the broader landscape of systems and structures is readily ignored…when considering the plight of an individual, the human mind exaggerates the protagonist’s agency, focuses on individual choices, and blames outcomes on individual frailties rather than broader factors. In this way, human interest stories reinforce dominant paradigms of individualism and dampen attention to policy issues or other collective actions. Reenforcing my belief that there is a common blueprint across all these institutions that acts as the rudder for the desired change starting at the neural level of each individual, we have MIT literature prof, Mary Fuller, at the link above telling us that Stories now can serve as “Conceptual meeting spaces for thinking together.” She must be able to identify with the need for media, educators, and think tanks to supply explanations, narratives, and stories to build up ‘shared understanding’ and ‘explanatory chains to make implicit assumptions explicit’ to avoid the apparently horrific alternative that the “public might otherwise fill in with their own thinking” as the Frameworks Institute put it above (p.10). Stories allow us to model interpretive, affective, ethical choices; they also become common ground, conceptual meeting places that can serve to gather very different kinds of interlocutors around a common object, We need these. Computer science alone can’t shoulder the task of modeling the future, understanding social and global impacts, and making ethical decisions. systemic change [where]…it will be vital to put in place social and institutional structures that support, encourage, and guide ethical behavior. One responsibility that falls on us as individuals is to work toward political conditions in which it is possible for us to live and work more ethically. the core responsibility of those who deal in policy…is to provide the public with alternative visions of what is desirable and possible, to stimulate deliberation about them, provoke a reexamination of premises and values, and thus broaden the range of potential responses and deepen society’s understanding of itself. I will close with a link from a paper cited by Frameworks in its Explanation of How paper to this https://haasinstitute.berkeley.edu/changing-our-narrative-about-narrative which seeks to create what it calls Narrative Power by immersing “people in a sustained series of narrative experiences required to enduringly change hearts, minds, behaviors, and relationships.” That’s what prescribed learning experiences to fit with the CEDS–Common Education Data Standards–also seek to do for students. It fits with the moral compass and social pillars we keep encountering from schools being hyped by school choice advocates. The March through the Institutions meant ALL institutions and, as Credentialed to Destroy laid out in great detail, the reading and math wars were never actually about how to teach reading or math. It’s about controlling what comes to mind, heart, and ‘moving feet’ for social change. So the NSF and UNESCO want to target what is internalized to control decision-making and say so. No one who looks at their work and funding would disagree that it aims at a transformative vision to a human well-being centric future. Let’s skip over to Classical Ed or religiously oriented schools, since they are often asserted as the alternative to the Godless and Progressive public schools. https://members.classicalconversations.com/article/book-review-norms-nobility makes it clear that education is all about the “person education should produce (norms) and the way this person should act (nobility)… education [is] preparation for virtuous thought and action,” but the instilled virtues that guide who the person is, what he values, how he perceives, and what motivates him to act are not up to the individual. The community supposedly decides what will be instilled and practiced until it is an unconscious habit. My point is that there is a convergence in the vision for education in the 21st century between Left and Right that is rarely being shared accurately with the public. If something called Agile Governance globally is all about controlling each individual’s knowledge and beliefs in order to aid declared public policy goals and we have “State Capability, Policymaking and the Fourth Industrial Revolution: Do Knowledge Systems Matter?” laying out the need to “change the nature and meaning of knowledge production and use in policy decisions” using think tanks across the globe, all of a sudden we have the best explanation yet of why there has been so much deceit and False Narrative coordination coming out of think tanks when it comes to what is really going on in education. all aspects of what it means to be human: feelings, intuition, connection to others and the cosmos, as well as the more familiar ground of the mind and intellect. Whole Person Learning is intimately linked with how the individual sees themselves and, supremely, how they view others. Instead of focusing on the improvement of students, Education must start focusing on the improvement of the world, enabling each individual to be an active part of that process…Indeed, learning is not the ultimate goal of Education, seeing that individuals learn in order to attain/create useful, desired goals. Specially in a time of relentless possibilities created by technology, which creates the scenario for people to learn, work, and exist in a close yet heterogeneous network, individuals may now be empowered to learn and attain great goals with local/national/world impact. That would certainly explain the convergence of visions around controlling what a student’s Identity is and what they value, believe, and what principles motivate them to act. How many people appreciate that these skills of active participation in a project of transformation in the human and natural worlds is what it means to be a Critical Thinker in the 21st Century? Sure enough, if students are being educated to become critical thinkers, it is aimed at serving a higher purpose still: that these individuals become equipped to devolve into active, participatory agents in the world–of work, surely, but also of their surrounding (and our global) community. This is possible since critical thinkers are prone to approaching common public challenges with a hands on conduct ignited by an ethical and committed attitude. That vision of education creates the needed ‘citizens’ to fit with a global vision for the 21st Century that “with effective multi-stakeholder cooperation…the Fourth Industrial Revolution has the potential to address–and possibly solve–the major challenges that the world currently faces.” What is necessary to this vision of the future? –“a population that can think critically and in interdisciplinary and cross-disciplinary ways.” Precisely what the Disciplinary Core Ideas, Cross-Cutting Concepts and Topics of those instilled Fuzzy Cognitive Maps are creating. No wonder US federal law requires Higher Order Thinking Skills to be assessed annually on at least 95% of each state’s students. It’s a necessary component of this global transformative vision of what it means to be a citizen in the 21st century where Knowledge Systems must evolve so that “Governments have the opportunity to design policies to prepare the knowledge systems of the future to make better decisions for the wellbeing of all. Well, neither is being ignored, but the targeting of both is not being accurately explained either except here at ISC. Going back to all the misinformation out there now from think tanks makes it clear that the disinformation is being manufactured in what appears to be a coordinated manner in order to “influence or change the system’s purpose, which is the level of intervention capable of instituting the most profound change in the system.” Student-centered, personalized learning that is brain-based and evidence-centered sounds so much better than that long quote and works the same way, doesn’t it? No need to get parents all upset by referring to students as ‘systems’ that need a new form of Governance at an internalized level in order to get the desired transformation in the external, material world. Do you remember my research on the Global Education Futures Forum and GEFF’s ties to the World Economic Forum? GEFF’s true focus makes more sense when we are familiar with the January 2018 White Paper “Agile Governance: Reimagining Policymaking in the Fourth Industrial Revolution.” The need to transform education globally goes hand in hand with a need for “positioning values that promote societal benefit and well-being as priorities for governance.” And what precisely does governance now mean if that’s the new vision of education in the 4IR? In its simplest form, governance refers to making decisions and exercising authority to guide the behavior of individuals and organizations…The concept of agile governance aims to shift the manner in which policies are generated, deliberated, enacted and enforced in the [4IR]…to enable policy-making that is more inclusive and ‘human-centred’ by involving more stakeholders in the process and allowing for rapid iteration to meet the needs of the governed. References to the Governed are straight out of a 1971 Soviet book called The Scientific Management of Society that I covered back in 2016 when I introduced my readers to the term they used for such comprehensive management at the level of the mind and personality–Upravleniye. Hello again old friend with a new name and sales pitch. The combination of systems and design thinking provides an iterative and cumulative learning process by exploring a complex and fast-moving ecosystem, sensemaking [using FCMs?] of observed variables, and shaping of possible outcomes, while analysing the influence of those outcomes on the status quo…Adopting system and design-thinking approaches fosters a shift from planning and controlling to piloting and implementing policies to get rapid feedback and iteration…Feedback loops allow policies to be evaluated against the backdrop to determine if they are still meeting citizens’ values and needs. Those would be the deliberately instilled values and needs created by a new singular vision of education in play under the Common Core in public schools in the US and in charter language or school mission statements for those parents opting for School Choice. The deceit makes more sense now, as well as the very term–School Choice–in a vision of education designed to get at the internalized basis for human decision-making as an invisible lever for social control. No wonder all these visions push the community as the determining source of what the individual must now be. Have you noticed that ‘limited government’ is another one of those catch phrases like Liberty, Freedom, High Standards for All, and Competency-Based Education that is suddenly ubiquitous, but not quite working in the way we might conceive? See if this sounds limited to you? Suddenly, those redefinitions of Marxism as synonymous with Totalitarianism and big-C Communism, the ignoring of all the documentable scholarship around a very real Marxist Humanism, and the reimagining of what the developed West could be in a sought Human Development Society, makes perfect sense. No wonder I kept stumbling across it as I was trying to get to the bottom of what was being mandated into education of any type. No wonder we keep encountering redefinitions of what used to be differently understood common historic terms and an insistence now that Knowledge is not a body of facts, but rather specified concepts to be used and applied. My documentation shows they kept it up in the second half too as all those Bellagio convenings around education in the last several years clearly show. But that’s the admitted Left. I have pointed out before that the Bradley Foundation seems to be funding a redefinition of American Founding Principles in a more communitarian direction as well. Is their funding of School Choice just another example of a technique of invisible governing in the 21st century? It certainly looks that way to me and this reimagined conception of Freedom from a source they support financially in commemoration of July 4 https://www.frontpagemag.com/fpm/270626/independence-day-and-recovery-true-freedom-bruce-thornton supports that view. Another source from an entity they support, ISI, wanted to recently contrast License with True Freedom https://home.isi.org/word-freedom-lost-meaning in a way that also struck me as redefining concepts and using them to remake the future. would be a great reason to misrespresent everything going on in education through an organized pattern of deceit via financed books, blogs, testimony, and conferences, wouldn’t it? No one can fight this new vision of government imposed at the level of thought itself, motivations to act in the future, and emotion if there is no widespread recognition of what is going on. That’s especially true if the volume of the False Narrative and the Truly Strange Bedfellows involved from all spectrums of politics drown out the Truth. Since I am in a linking mood here is https://www.edsurge.com/news/2018-06-19-how-a-classics-education-prepares-students-for-a-modern-world another piece of proof about normative citizen formation as the true aim. Maybe the Rockefeller Foundation can fund the initiative in the name of Resilience and Futures Literacy, while Bradley and Koch can fund it in the name of Liberty, free markets, Moral Sentiments, and Founding Principles of Self-Government. Maybe no one will notice we are converging to the same vision of education using different rhetoric or that this instilled interrelated set of qualities is to form the “core” to serve as the basis of an “ethico-politics” in the 21st century. But someone did notice and document it all despite the organized deceit. No wonder I feel tired.